Public Notice: Due to flood mitigation construction being conducted by the MD of Bighorn at Jura Creek, The Drive-In is closed Monday to Saturday until construction is complete. The Drive-In is located on the left side of Jura Creek before the canyon. This is the first drainage east of Exshaw. If you have a vehicle with reasonable clearance you can drive to the crag, otherwise park in the ditch on the north side of the highway (51°03’55.0″N 115°08’42.8W). Take the west side of the drainage north 200 metres to the power line. Follow the power line west 100 metres to a trail that heads north. Take this trail north 225 metres to a side trail that heads left to below the crag (50 m). Park so that others can get by (51° 4’5.87″N 115° 8’51.90″W). This place is already known to be quite popular on the weekends. How did we find The Drive-In? 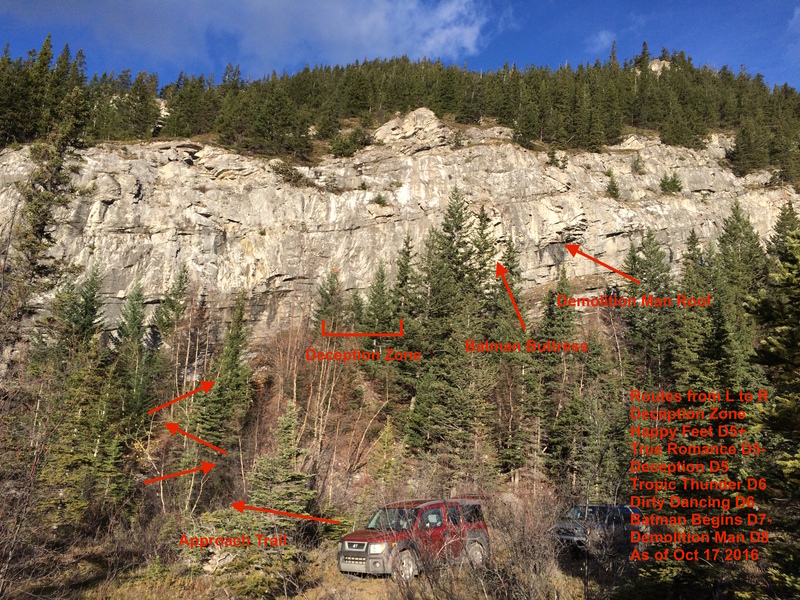 Most of the drytooling crags in the Bow Valley (around Canmore, Alberta) are quite a hike. The most popular crag, The Playground, is about 45 min to an hour of continuous uphill travel for a fit climber. The Playground is also north facing in a large grotto which means no sun. 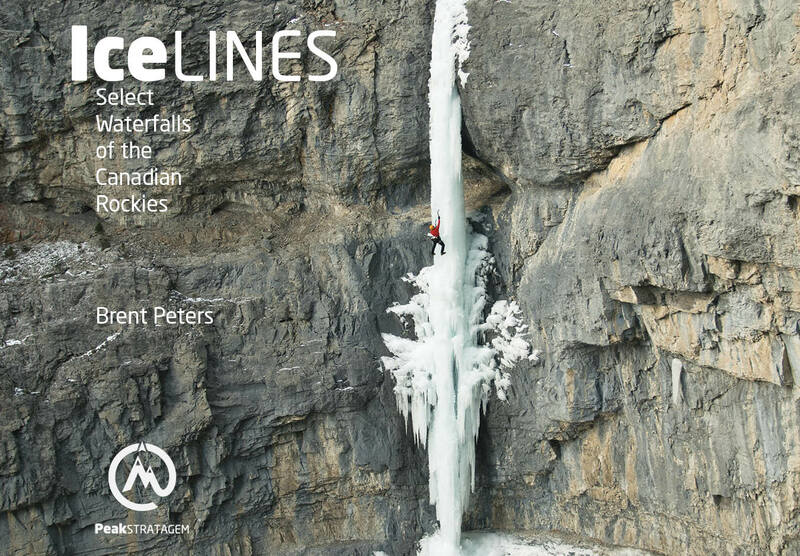 This can be appealing for the summer diehard drytooler. However, it would be nice to have a south facing crag for those cold winter days where a bit of sun can make the difference for the screaming barfies! About the same time last year as Rafal Andronowski was scoping out new crags, I took a drive up Jura Creek and spotted this scruffy limestone crag. It wasn’t unknown to locals. Jay Mills had put up a rock climb here about 5 years ago when he first moved to Exshaw. The rock was dirty, loose, and would have required a lot of work; he focused his route development elsewhere. With Jay’s blessing, Raf and I simultaneously came to the conclusion that The Drive-In could be the perfect moderate drytooling crag. Paul entering the final squeeze crack that gains the anchors on Dirty Dancing D6, The Drive-In. What routes are currently here? The Drive-In is a new crag. There is a TON of loose rock ready to get removed. Be aware as you drytool. Routes have been cleaned, but there will be more rock to remove. Communicate with your belayer. If top-roping, leave your belayer mobile (top-rope belayers shouldn’t be tied in to the belay bolts while belaying). All the routes to date have sport anchors with a fixed steel lower off carabiner. 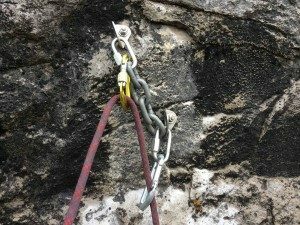 If you are going to top rope the routes, please lift your rope or build a conventional anchor while top roping to preserve the steel as long as possible. Lift the rope with a locking carabiner on the top anchor point. How was the crag developed? The routes at The Drive-In have typically been cleaned on rappel, then climbed on top rope to determine climbability and the nature of the route. 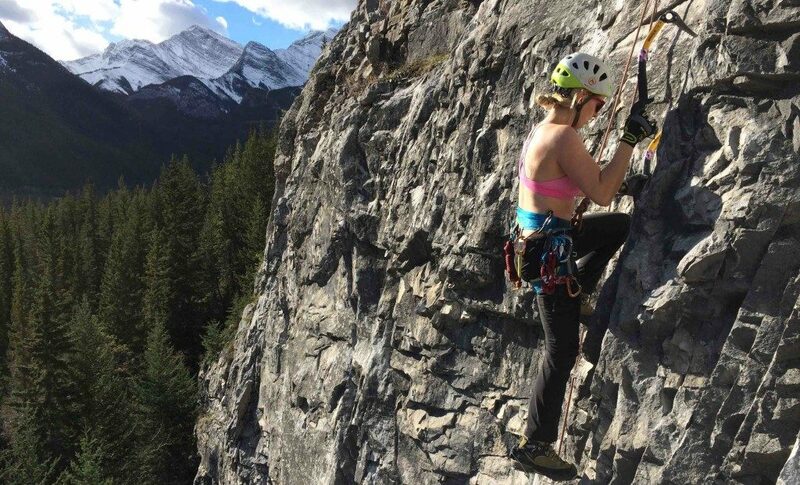 Ice axes and crampons are notoriously damaging to limestone. Holds have been enhanced to ensure the longevity and sustainability of the routes. 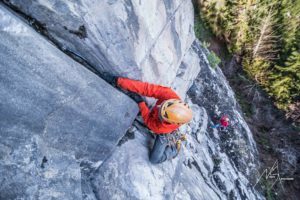 Effort has been made to create routes that are not just “pull-up” routes, emulating the puzzling nature of limestone drytooling. Send us feedback about the grades, the bolting, and the climbing movement! If you feel that holds are broken or that the route isn’t climbing like it was built, please refrain from taking your drill and arbitrarily changing the route. The crag building team wants these routes to climb well, for them to be fun and safe. We don’t want this to be just another pulldown site! Amanda has tested most of the routes. She’s 5’1″.